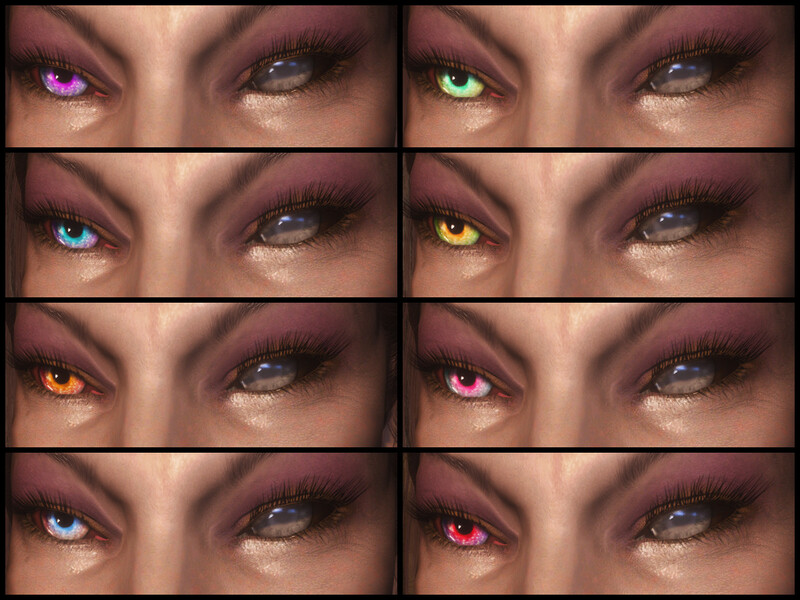 Eight new textures for all human, elven and orc races and sixteen for Argonians and Khajiits, based on chakaru11’s original C textures for Oblivion. 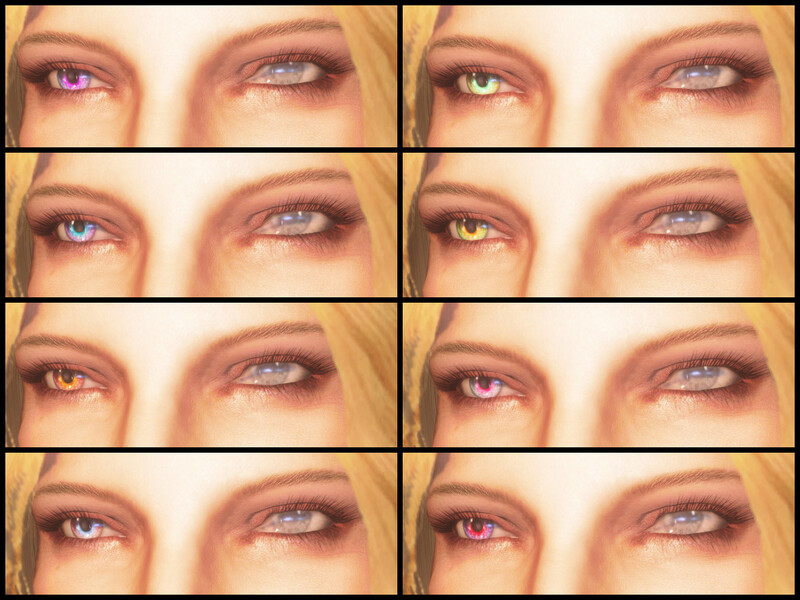 Not much in the way of details here. 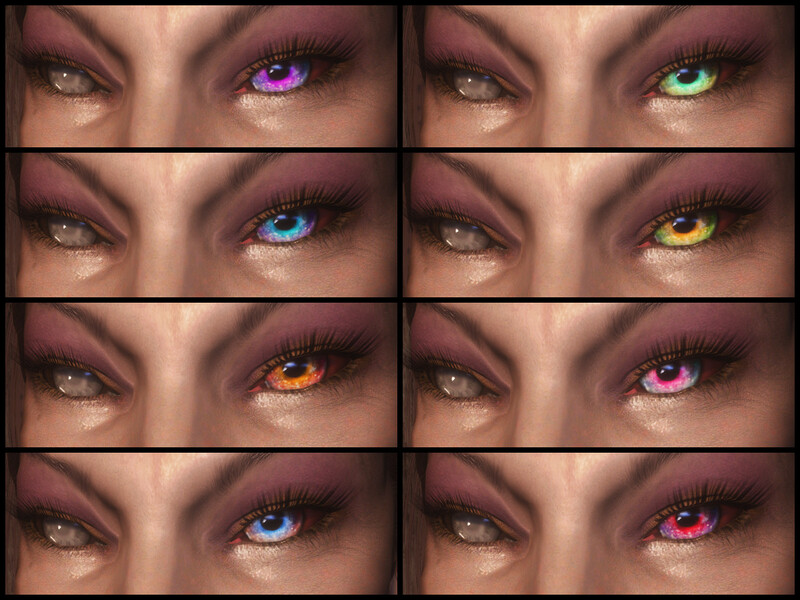 Just some new textures with dual-coloured irises. 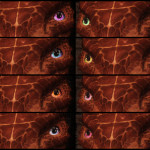 A big thank you to chakaru11 for the original textures. 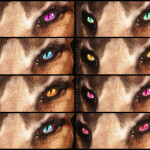 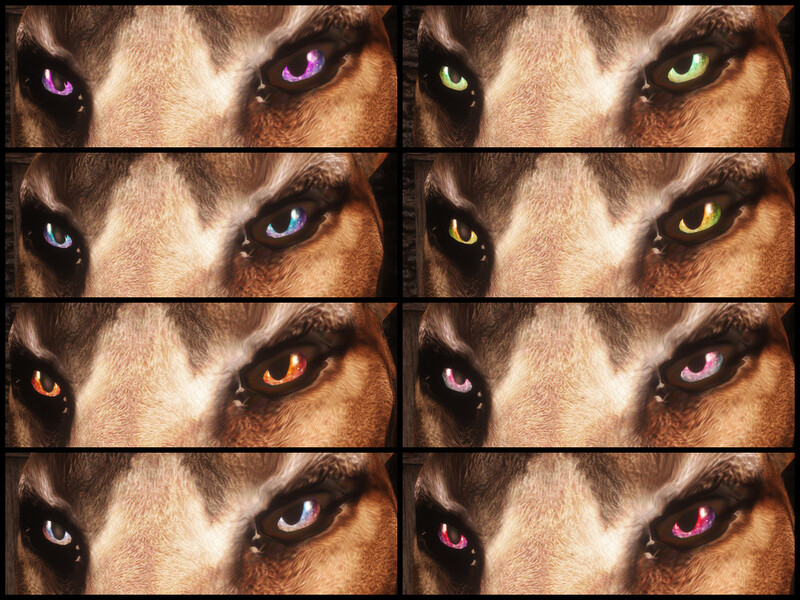 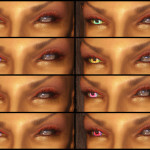 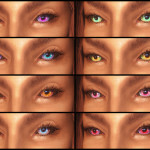 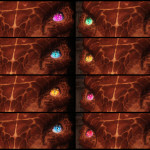 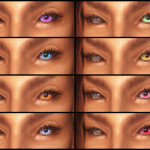 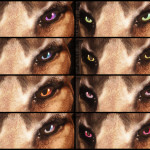 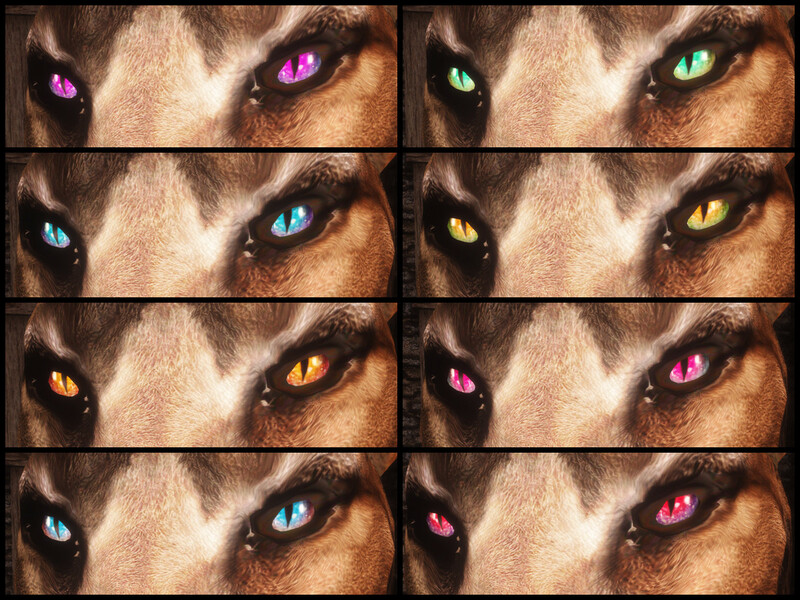 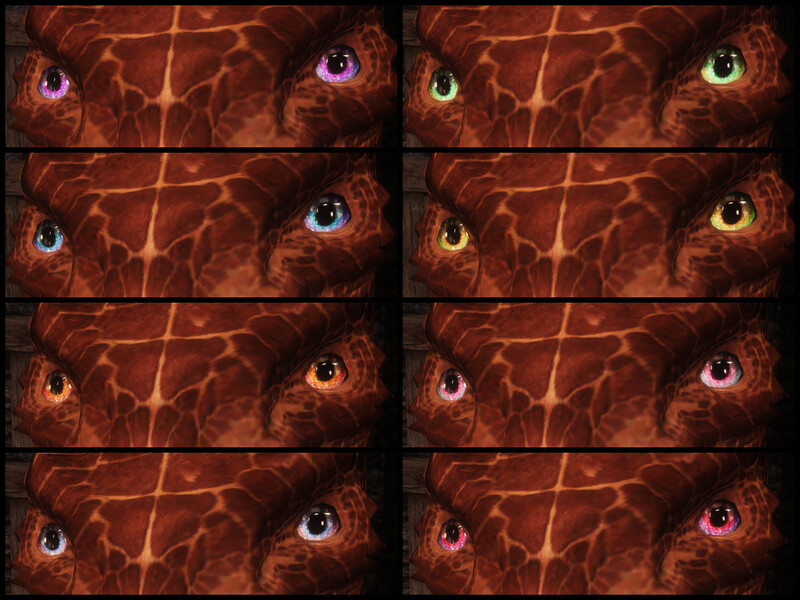 Every race has eight new eye colours. 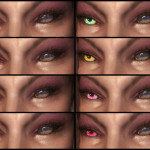 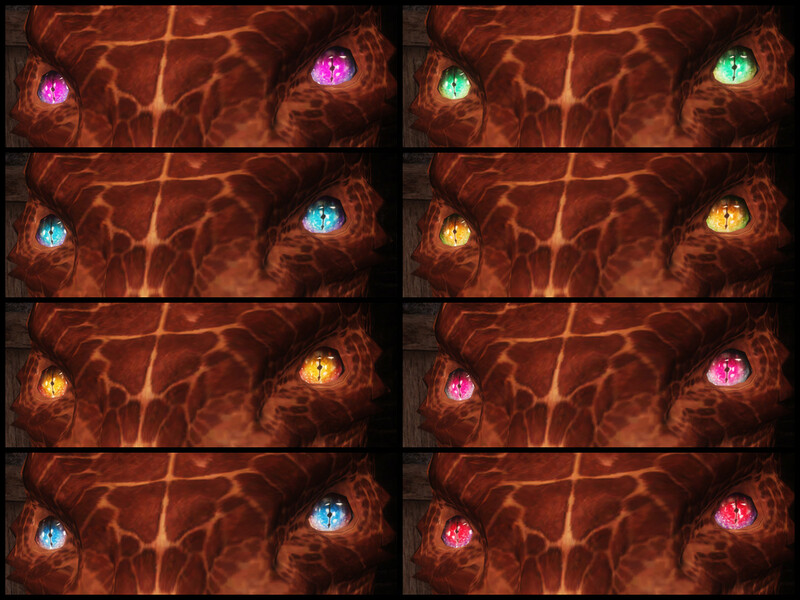 The Argonians and Khajiit have two different pupil styles, totalling sixteen new textures for each race.